Atlantic Canada’s First Nation bands are leaders in complying with salary reporting requirements of the federal government’s First Nations Financial Transparency Act (FNFTA). 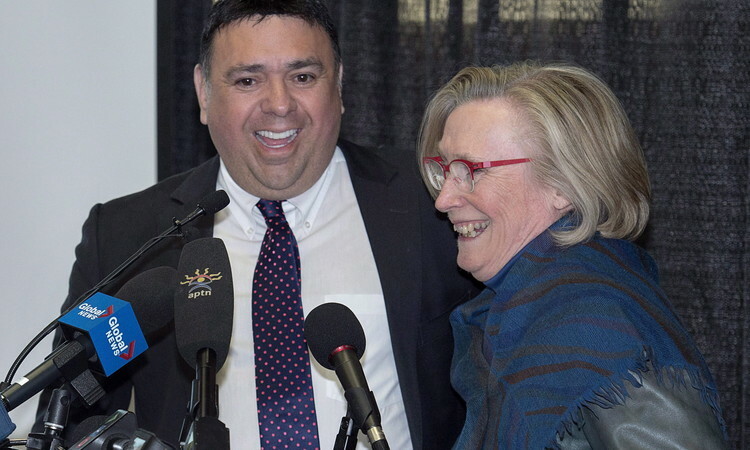 This law obliges Canada’s 581 First Nations to publicly disclose band spending as well as salaries and expenses collected by chiefs and councilors. Its success in our region is why Ottawa should uphold a law that was almost universally obeyed and, most importantly, increased transparency and accountability on Indigenous reserves. Band members recognize that First Nations should follow the trend of public sector transparency that federal, provincial and municipal governments are subject to. Yet this past December, Indigenous Affairs Minister Carolyn Bennett shelved the compliance measures that required all First Nations governments to post their financial information online for both community members and all Canadians to see. At the time, the vast and overwhelming majority of bands had complied with the 2013 law. Only 38 bands failed to comply with the measures, which resulted in federal funds being frozen. However, Minister Bennett reinstated those dollars when she announced Ottawa was ending court actions against First Nations that had refused to comply with the act. The transparency law remains on the books but is now toothless. This after the Atlantic Policy Congress of First Nations Chief Secretariat (APC) – a policy research and advocacy organization that develops policy alternatives for the region’s aboriginal communities and peoples – released a letter back in November 2014 proclaiming that all 35 chiefs in Atlantic Canada were compliant with the law. The organization said it had taken a proactive approach towards chief and councillor compensation by engaging an international firm to look at compensation rates and provide recommendations on the level of compensation based on job responsibilities, size of community, and other relevant benchmarks. The study found that all First Nation leaders in Atlantic Canada were below the recommended salary compensation. That’s an eyebrow raising conclusion when one chief of a band of 300 was paid a $243,000 salary and two councillors each made $200,000. Meanwhile, a 2015 study by the Prairie-based Frontier Centre for Public Policy found that Atlantic chiefs had relatively high levels of compensation, which the authors remarked is odd given the low cost of living of the region, as well as few Atlantic communities having resource revenue sources. At least we can agree that making salaries and other expenses public allows band members to determine which study better reflects what level of pay is appropriate for chiefs and councillors. Indigenous leaders from the region are still ahead of the game. This does not mean Atlantic communities did not have some hiccups. There was some initial foot dragging among some bands. However, according to Indigenous Affairs, for fiscal year 2014 there are 34 First Nations covered under the FNFTA for the Atlantic region and all are compliant.Statements for 2015 are due by July 29. It is unclear from this statement if Mr. Paul and the Atlantic bands will continue to publicly report salary levels after Ottawa decided to end enforcement. But it is in the APC’s own self-interest to do so. New research has found that a lack of transparency is a governance barrier facing First Nations communities. In February 2016, the Public Policy Forum released a report entitled, “Improving Access to Capital for Canada’s First Nations Communities”. The prime challenge for First Nations, the study authors concluded, is their unique difficulties in accessing capital that other governments take for granted. Bands complying with the standards laid out in the FNFTA are more likely to achieve this goal. Ottawa should help by maintaining the sanctions on bands that fail to report the salaries of band chiefs and councillors. First Nations compliance is a win-win for all Canadians, but transparency and accountability mostly benefits First Nations communities by ensuring revenues are wisely spent to help band members.